TOKYO (Bloomberg) -- Honda Motor Co. affiliate Yutaka Giken Co. closed a factory in China after workers went on strike demanding higher pay. The walkout is the second to affect the Japanese automaker in less than a month. Employees at Foshan Fengfu Autoparts Co., a venture operated by Yutaka Giken and Taiwan’s Full Wei Industrial Co. in Foshan, Guangdong province, began the strike yesterday, said Kazuhito Anma, a spokesman at Yutaka Giken in Tokyo. The strike hasn’t disrupted car production in the province as the automaker has sufficient inventory, said Yoshiyuki Kuroda, a spokesman at the automaker in Tokyo. The closure follows another strike at a Honda-owned parts supplier that closed four of the automaker’s car-assembly factories in the nation last month. The plants returned to normal operation on June 5 after Honda, Japan’s second-largest automaker, agreed a 24 percent pay raise to persuade the employees to return to work. “If you don’t meet the demands of the workers, social stability will be threatened,” Jun Ma, Greater China chief economist at Deutsche Bank AG said by phone from Hong Kong. Wage increases are fast becoming a political issue in China and are something companies will need to get used to, he said. Honda shares gained 0.7 percent to 2,716 yen in Tokyo as of the 11 a.m. trading break, while Yutaka Giken shares dropped 1 percent to 1,811 yen. The supplier, based in Hamamatsu, Japan, makes parts used in transmission and exhaust systems. 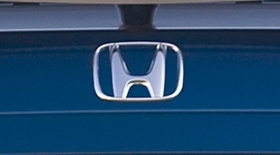 Honda, which owns about 70 percent of Yutaka Giken, is checking how the walkout will affect its car-assembly factories in Guangzhou, according to spokesman Kuroda. The company, maker of the Accord and Civic sedans, operates plants in the city with partners Guangzhou Automobile Group Co.
A separate joint venture with Dongfeng Motor Group Co. in Hubei province isn’t supplied by the factory, Kuroda said. Foshan Fengfu, located in Guangdong province, is 65 percent owned by Yutaka Giken and employs about 440 workers. The factory supplies Guangzhou Honda with exhaust parts for the Honda Accord, Fit and Odyssey models. A spokesman for the Foshan district workers’ union declined to comment.